In SA medical abortion is generally available up until 10 weeks after your last period. In some settings Doctors do it till 13 weeks after your period and in possibly up until 18 weeks. It is all varied and dependant on different provincial and hospital protocols. Medical abortion requires the use of two drugs: mifepristone and misoprostol. Mifepristone is an antiprogestin taken orally. It blocks receptors of the hormone progesterone. As a result, the lining of the uterus can no longer sustain the growing embryo. The drug also increases prostaglandin levels and dilates the cervix, facilitating abortion. Misoprostol is a prostaglandin analog that is marketed worldwide in over 60 countries for treatment and prevention of gastric ulcers. It is widely used “off-label” for a number of reproductive health indications. One tablet of mifepristone is swallowed first, causing the embryo to stop growing. Two days later, the woman takes misoprostol, causing contractions of the uterus and expelling the uterine products. The timing, dose, and route of administration of misoprostol often vary slightly. Studies have shown that these drugs effectively terminate more than 9 out of 10 pregnancies in the early first trimester. She is willing to have a surgical abortion if the medical abortion does not work. She is willing to return to the clinic 10 – 14 days later for a follow – up visit. Are there any contra-indications to having a medical abortion? Yes. There are a few circumstances when medical abortion should not be used. The doctor / nurse will advise you if there is a reason why you cannot choose this option. She is on long – term corticosteriods (eg. for the long – term treatment of asthma) or she is taking blood thinning medication, or has a history of a bleeding disorder. She is allergic to any of the components of the medication. She has severe uncontrolled asthma. How safe is a Medical Abortion? Medical abortion is extremely safe. The medicines used in medical abortions have been widely studied and have been used by millions of women in other countries for the past ten years. The South African Medicines Control Council also approves them. Of every 100 women who have a medical abortion, 1 woman will have very heavy bleeding that does not stop and requires a surgical abortion. Is a medical abortion always effective? Medical abortion is successful in about 95% of cases. This means that out of every 100 women taking both of the medicines for a medical abortion, about 5 women will not have a complete abortion. In this case, a surgical abortion will need to be done to complete the process. Surgical abortion usually involves removing the pregnancy by suction. Once a medical abortion has started, it needs to be completed because of the damage to the foetus. What happens during a medical abortion? When a woman comes to the clinic, the doctor / nurse will explain the process and answer questions. After the woman’s medical history has been reviewed and she has been examined, a pregnancy test and a sonar performed, she will be given the first medicine to be swallowed at the clinic. The woman may experience some cramps and bleeding in the days after taking the first medicine, but very few women will have a complete abortion before taking the second medicine. Unless the doctor / nurse says that the abortion is complete, the woman will swallow or place the tablets under her tongue 2 to 4 tablets of the second medicine at home two days later usually in the morning not having anything to eat or drink. Within 2 hours she can have breakfast and something to drink and should then take pain medication, she will probably start to have strong cramps and bleeding, which can be heavier than an ordinary period. The woman should expect to bleed or spot for about 2 weeks after taking the tablets and she may see blood clots and tissue coming from the uterus. This is an expected part of ending the pregnancy. The heaviest bleeding will happen while the abortion occurs, usually within the first 6 hours after taking the second medicine. The medicine cause bleeding and cramping and these symptoms mean that the treatment is working. Sometimes women can get cramping and bleeding and still be pregnant. This is why it is very important to return to the clinic 10 – 14 days after taking the first medicine to make sure that the pregnancy has ended. If a woman is still pregnant after taking the medicine, she will have a surgical procedure to end the process. What are the possible side effects of a medical abortion? Bleeding and cramping are a normal part of the process and show that the medicines are working. Cramps generally last a few days. Bleeding is heavier at first but some bleeding or spotting may continue for as long as 12 days. A woman may also have some nausea, vomiting and diarrhoea on the days that she takes the medicines. Occasionally women will also have headaches, dizziness, chills or fever. These symptoms usually last a short time and can be reduced by taking pain medicines or anti-nausea medicines. Could I go back to work after taking the medicine? On the day you take the second set of tablets it would be best for you to take the day off if you can, snuggle in bed with a hot water bottle, take your pain meds, and change your bad regularly. You should expel the fetal sac that day and it would be good to be in a safe place, close to your toilet and comforts. 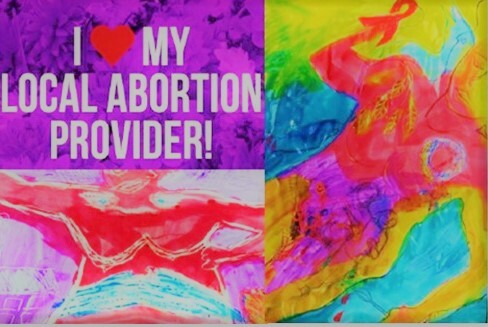 Some SRJC members are experienced providers and have developed tools and guidelines that draw from national guidelines on abortion in South Africa..